We offer portable size Apex Locator with self-calibration. It easily fits in any tooth environment and works will in both dry and wet canals such as blood, hypochlorite, saline, etc. 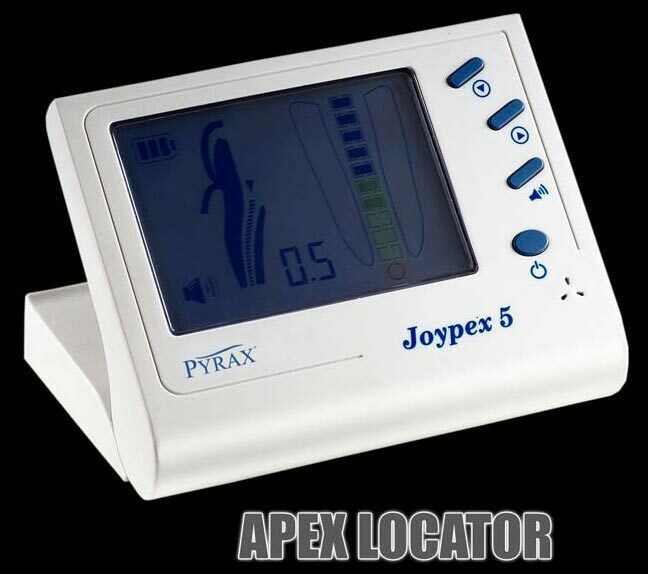 Dental Apex Locator that we offer is included with beep alarm to indicate the apex when the display number on the LCD is below 2 mm, adjustable volume of the sound indicator, adjustable WL bar for different anatomies and autoclavable file holders and contrary electrodes to avoid cross infection. The foldable design of Apex Locator is widely appreciated by the dental professionals.